Sponsorship of The Ball is extremely important to us as it allows us to pay for those extra touches without taking funds from our fundraising pot. If you would like to sponsor any part of Alexander's Charity Ball then please see the packages available on our Sponsorship Packages page and please do get in touch. "We offer a bespoke wedding venue decoration service from your ceremony to the dance floor we can create the glamour and style for your wedding. Our services include chair cover hire, table decoration, venue decoration, table settings, table plans, favours, balloons & much more. If you want something specific and cannot find it anywhere for a cost to suit your budget why not let us try and source it for you. " 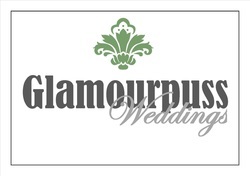 Please visit their website http://www.glamourpussweddings.com/ to see their fabulous range of decoration. Kieron Armstrong the founder and director of Giant Event Management has been a guest at Alexander's Ball since the start but has always offered advice and recommendation on elements of our evening. Kieron has decided to make it official and provide a wealth of expertise to make Alexander's Charity Ball an event to remember by becoming an official sponsor. Whether you are hosting a conference, party, wedding, charity or corporate ball, Giant Events can help and advise you to make your event special and unique. We have the necessary experience and know how to help on any level that you choose. Stephen and Suzanne are first and foremost family, they saw first hand how deeply our family was affected by Alexander' death and so they have pledged their support to us every year. Our fabulous band are sponsored by SCA this year. Stephen Crowther Associates offers a professional Design & Project Management service. Acting as the Employers Agent & Project Managers or Contract Administrator we can assist with all stages of your construction or refurbishment project. From Concept through to Project Completion; Stephen Crowther Associates prides itself on delivering a professional management service to the highest possible standards.